When E.J. Levy arrived in northern Brazil on a fellowship from Yale at the age of 21, she was hoping to help save the Amazon rainforest; she didn’t realize she would soon have to save herself. 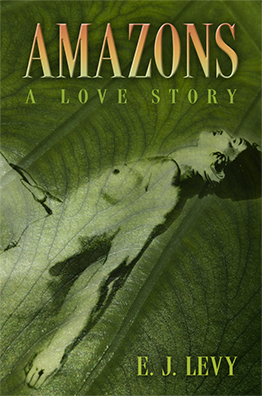 Amazons: A Love Story recounts an idealistic young woman’s coming of age against the backdrop of the magnificent rainforest and exotic city of Salvador. This elegant and sharp-eyed memoir explores the interaction of the many forces fueling deforestation—examining the ecological, economic, social, and spiritual costs of ill-conceived development—with the myriad ones that shape young women’s maturation. Versed in sexual politics and fluent in the language of alienation, these 25 short works chart new territories without the maps or compasses of social convention. 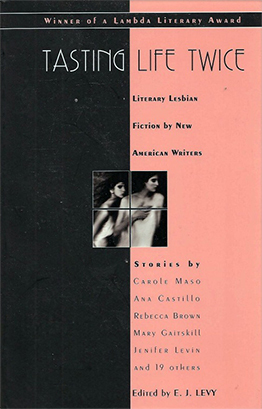 This bravura collection showcases the fierce power and startling diversity of contemporary lesbian writing. Includes early work by acclaimed emerging talents such as Cheryl Strayed, Stephanie Grant, and Mei Ng, as well as stunning pieces by Carole Maso, Mary Gaitskill, Ana Castillo, Rebecca Brown, and others.